You're not alone in things you're wondering about. You're in this with an entire generation. Here are some of the things we've found are most often on the minds of folks like you. 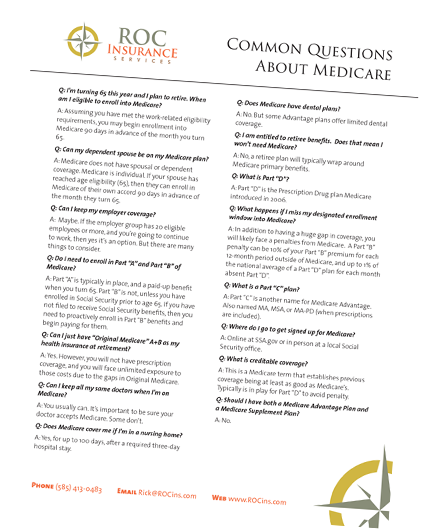 You might be surprised at some of the realities of Medicare. This download will get you up to speed. This free booklet will tell you the five important things you need to know, and ways to begin planning ahead for your retirement.